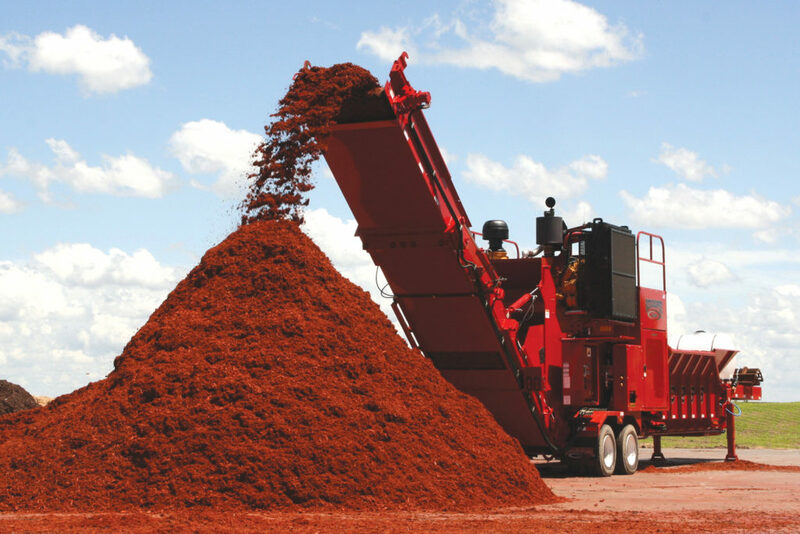 Nothing simplifies premium mulch production like patented Rotochopper grind & color technology. The “Perfect In One Pass” advantage consistently provides vibrant mulch at the lowest cost per cubic yard / meter. After more than 15 years as the benchmark for grind & color technology, the patented Rotochopper Power Application System (PAS) colorizer remains the most efficient means of producing color-enhanced mulch. This patented system injects water and colorant directly into the grinding chamber, using the force of the grinding process to thoroughly mix colorant into the wood fiber. 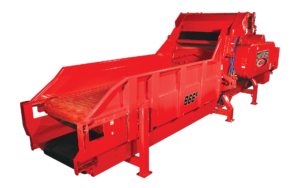 Known for versatility and precision grinding capacity, Rotochopper grinders transform a broad range of wood waste, from pallets to round wood, into vibrant colored mulch. This unique system keeps you in control of particle size and texture, water application, and colorant usage. So you always get premium mulch at the lowest cost per cubic yard. 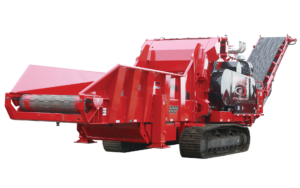 Rotochopper horizontal grinders offer the most efficient solution for converting slab wood into pellet stock, boiler fuel, playground cushion, or landscape mulch. Our patented slab ramp creates an optimal feeding angle for slabs to maintain steady processing rates. Equipped standard on all our mid-sized and larger models, this exclusive feature allows our grinders to process green pliable slabs that can instantly plug other machines. The slab ramp quickly adjusts to create a more aggressive feed angle for larger diameter feedstocks. The precision grinding capacity that makes Rotochopper grinders popular for colored and natural mulch also sets them a class apart for playground cushion. With our Keyknife Chipper Package, a Rotochopper grinder can convert logs into playground cushion with “Perfect In One Pass” simplicity. 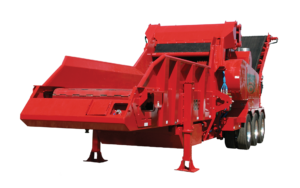 The Rotochopper Go-Bagger 250 is a simple, reliable solution for expanding your mulch operation into the retail bagged market. Rugged but simple to operate, the Go-Bagger 250 easily bags mulch, decorative rock, topsoil, compost, and other products that can plug or damage other bagging systems. "You need to be accountable for everything in the back of those trucks. I will never compromise quality on mulch, and I owe my success to the MP-2."